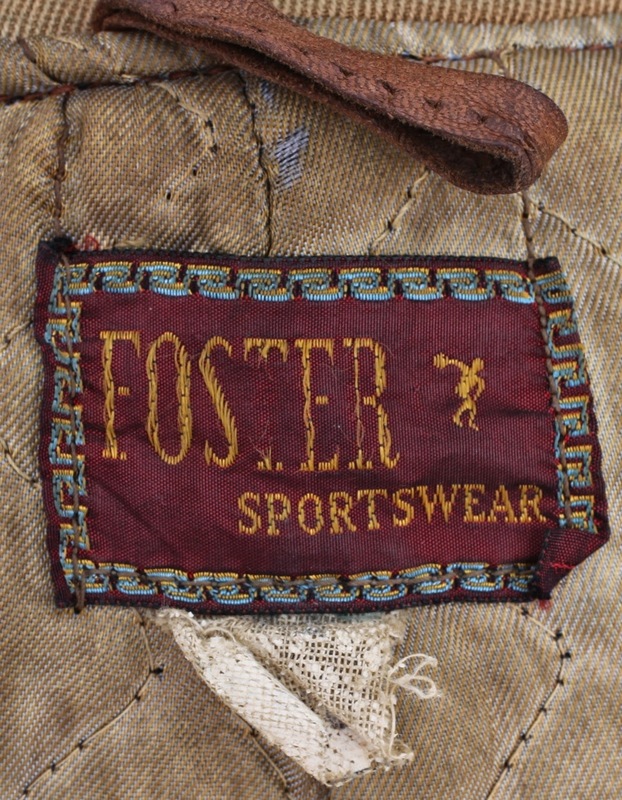 This one was made by Foster Sportswear, probably just after the war. It's capeskin, as is typical for this style. 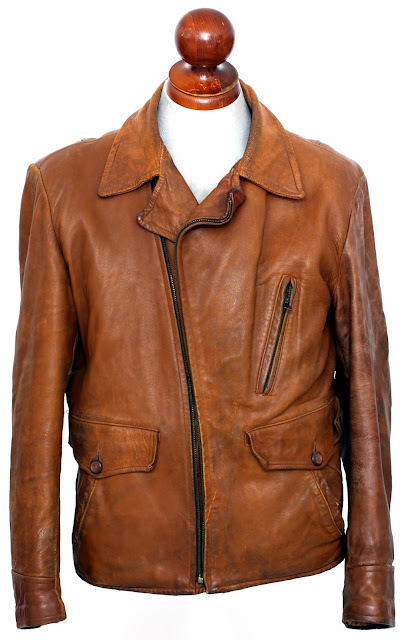 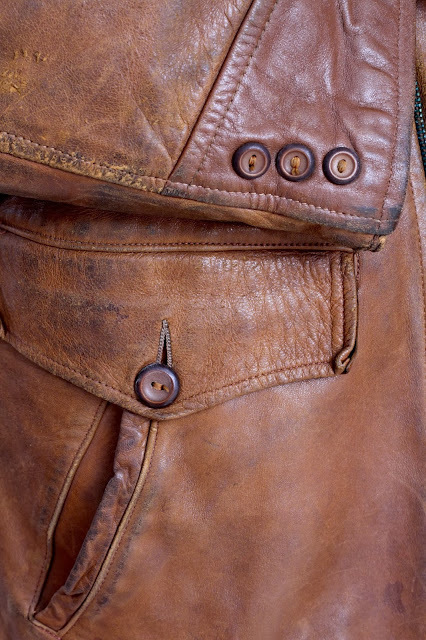 The combination handwarmer/flap pockets would seem more at home on a belted surcoat length leather jacket, but the diagonal map pocket is all aviator. 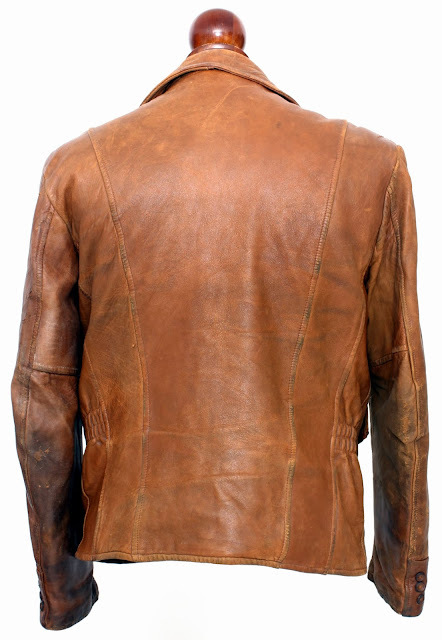 Elastic sides, plain back, decorative buttons on the cuffs.